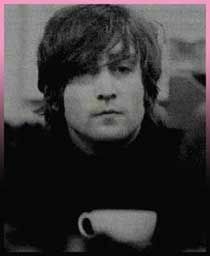 John..."imagine no religion...." Little did he know. Although I think he was an active spokes person for peace...his personality was over the top and he had that typical myopic view of creative genius. Though I wouldn't call him prolific. I have been appreciation Paul alittle more so these days....he was the writer of some sweet tunes. He was always my favorite, and I can relate more to what he wrote (than Paul). I agree with Steph, I do love some of Paul's sweet lyrics. You could tell he loved being in love.